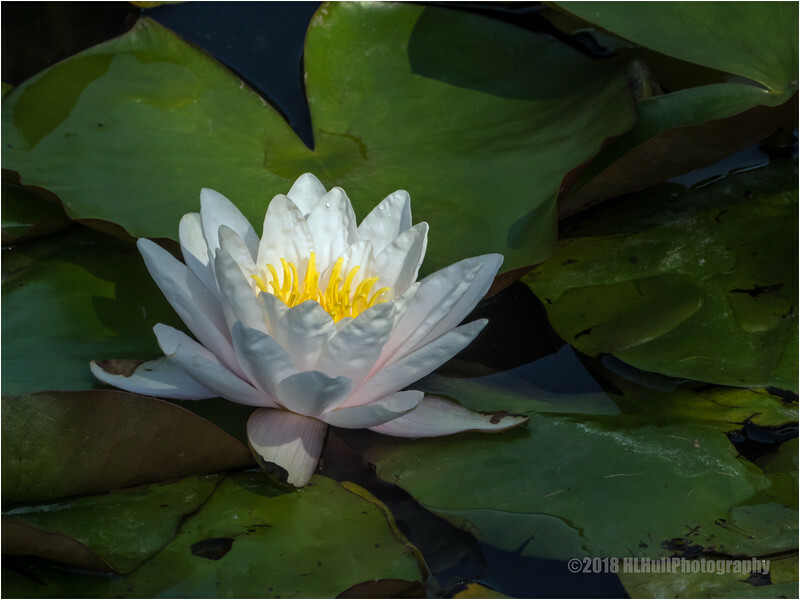 Love the tiniest hint of pink in an almost white water lily. Water lilies are so pretty, in my opinion! Wonderful shot -- love the subdued reflections.